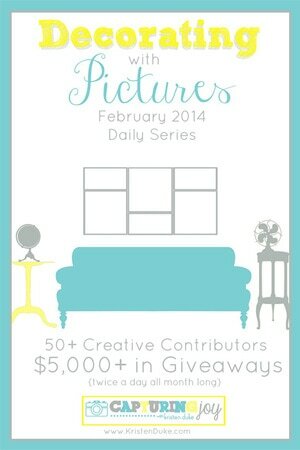 Today I’m participating in a very fun Blog Series presented by Kristen Duke at Capturing Joy. It’s a series all dedicated to decorating with pictures. If you’ve read this blog for a while you know that I love pictures! 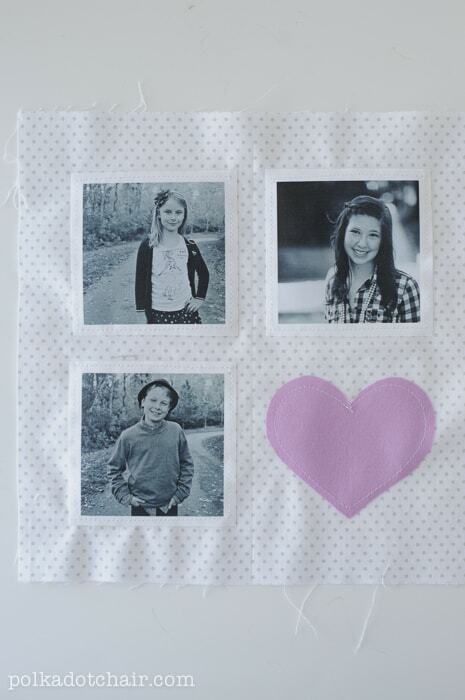 I love to scrapbook, display photos around my house and even sew with them. There are many fabulous giveaways going on at Capturing Joy, in association with this series. Make sure you stop by and check out the other projects and enter a giveaway. 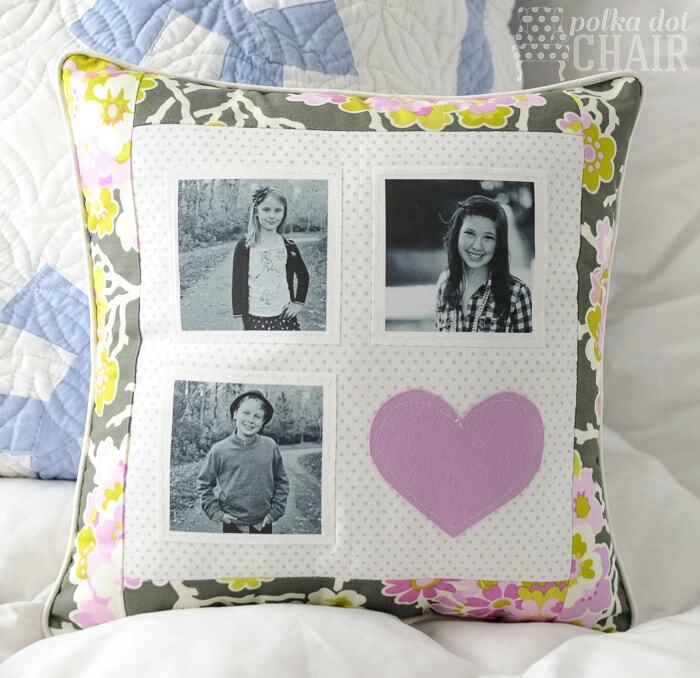 In the spirit of Valentine’s day today I thought that for my pictures project, I would make a fun throw pillow with photos of some of the people I love most in the world. Would you like to make a pillow too? Here’s how you can do it. 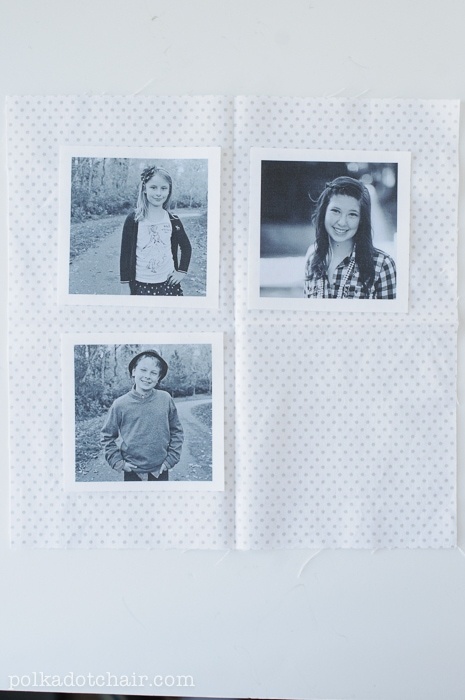 Print your photos 3” x 3” onto your sheet of printable fabric. You’re going to need some sort of photo editing program to do this. 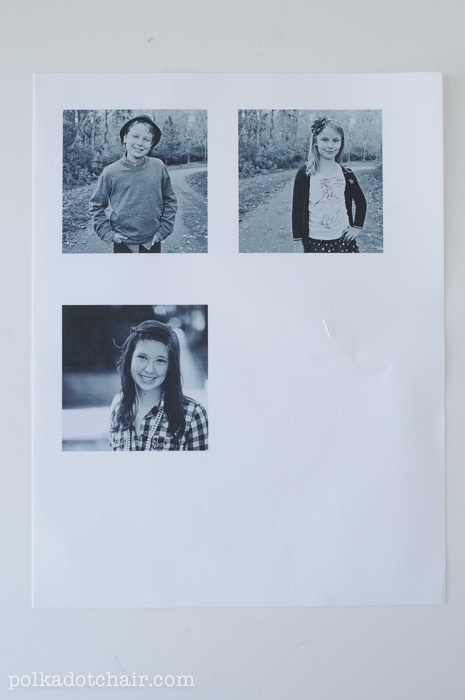 I used photoshop but I know that in iPhoto you can print custom photo sizes all on one piece of paper. Using a ruler so that you can see where you are cutting, cut the photos out leaving a 1/4” border of white around each photo. Mark the centers of the 10” x 10” piece of fabric by pressing the fabric in fourths. This will give you a visual grid for laying out your photos. Press the 3 photos and your heart onto the pillow. Stitch around the edge of all items. Sew the 2, 2 1/2” x 10” strips of fabric to the top and bottom of the square with a 1/4” seam. Press seams. 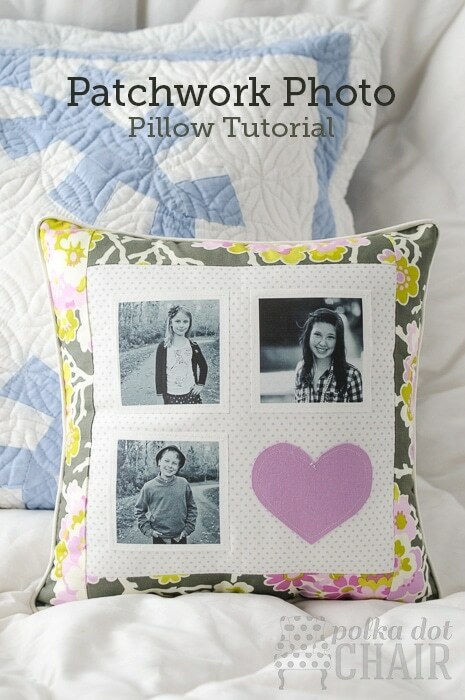 Sew piping to pillow front, if you need to know how to do this you can read my tutorial all about piping here. Sew pillow front to back leaving a 6” opening to turn pillow right side out. Turn right side out, insert pillow form and hand stitch opening closed. If you enjoyed this project you may also enjoy my book. What a great pillow! 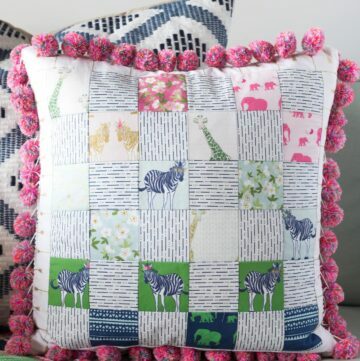 I have scrolled through your blog and I love what you craft. 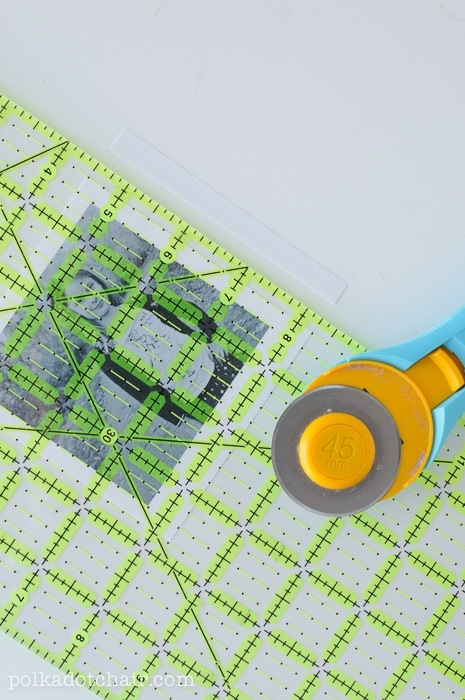 I definitely have to try the fusible printable fabric. 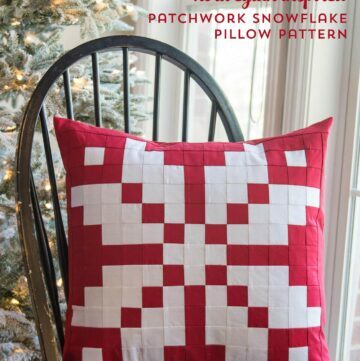 Beautiful cushion, great tutorial. Thank you for sharing. Yes, I’ve found that the Electric Quilt companies printable fabric is the best. Don’t buy cheap stuff, it will fade horribly over time. You can order on their website- I like the plain cotton. just your articles? I mean, wwhat you say is important and everything. a amusement account it. Look advanced to morfe added agreeable frrom you! ԁο yοu reduce it, anү plugi or anythinǥ you ccan sսggest? ӏ get so much lately іt’s driving me mad ѕo any help is verү much appreciated.